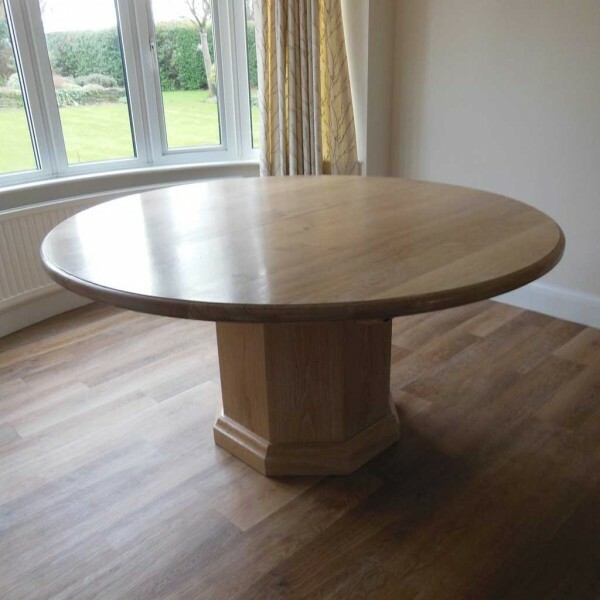 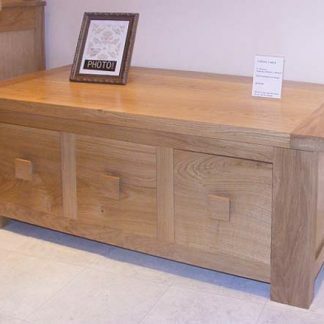 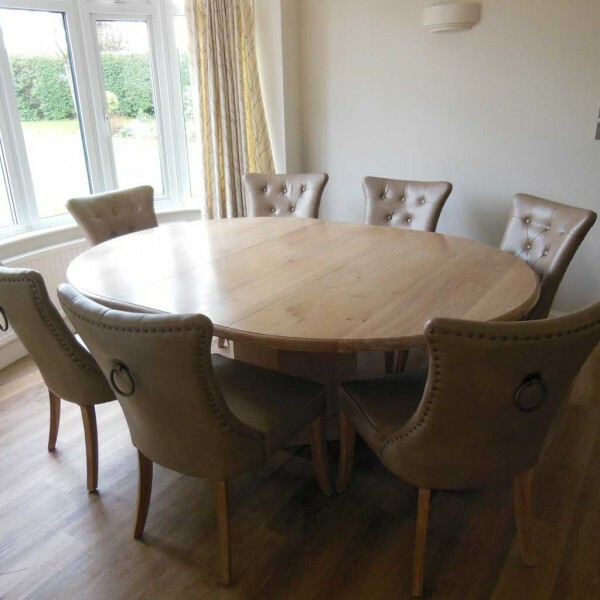 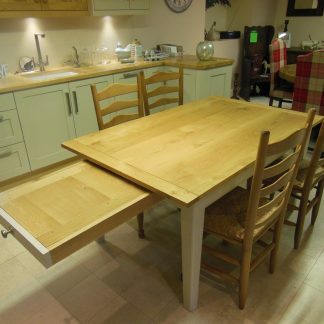 This round oak extending table with an hexagonal base and thumb mould detailed top is handmade by Hydes. 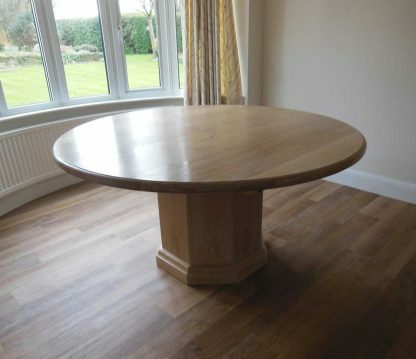 This can be customised in size and colour to your own specifications, please call us or email for a price. 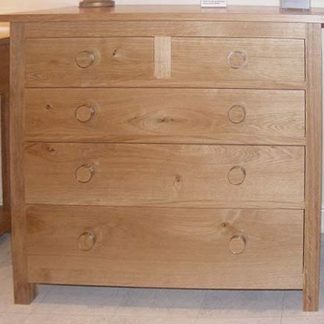 10 – 14 weeks delivery time.